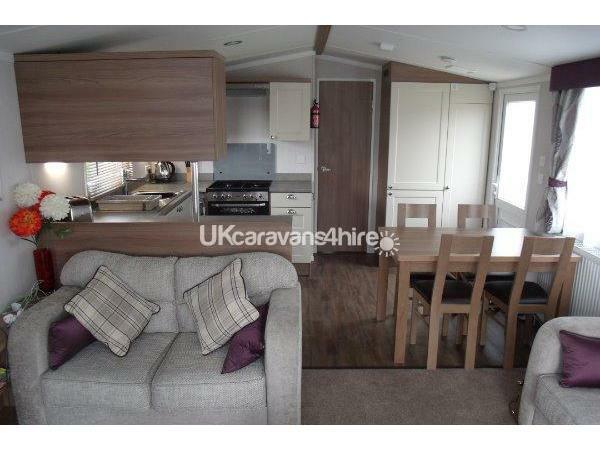 Booking in will be at 2 pm on the day of arrival and the caravan must be vacated by 10 am on the day of departure. A deposit of £100 (non-refundable) will be taken at the time of booking along with a £100 bond refunded on last day if no damages are incurred. 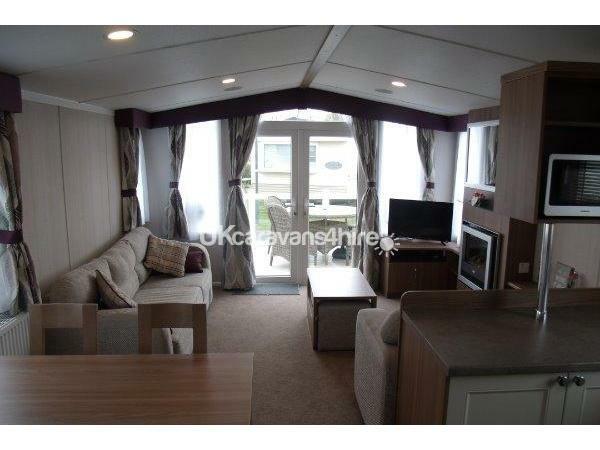 This is a Privately owned luxury, Swift Bordeaux Exclusive 2 bedroom, 6 berth caravan on Kiln Park, with Double Glazing, Full Central Heating and within close proximity to the beach and shops. The lounge has a 2 large sofas with a gas fire and double patio doors leading on to the veranda. 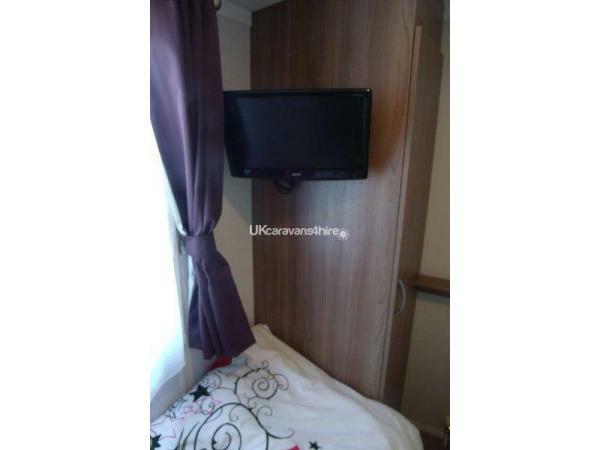 The seating contains an additional pull out double bed. The kitchen comes fully equipped with all utensils including a microwave. There is a separate dining table with four chairs. 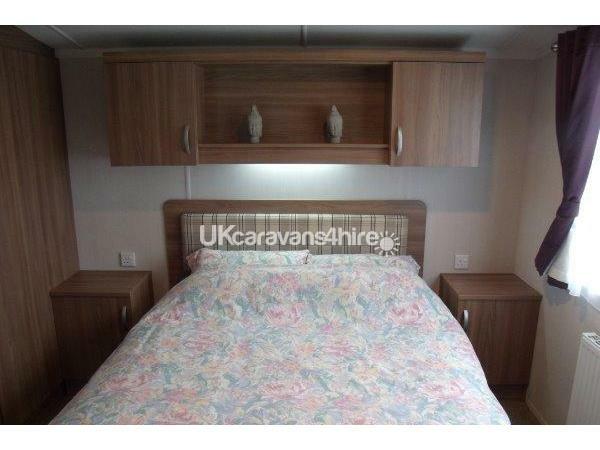 The Master bedroom has a large wardrobe and overhead storage compartments containing convenient shelves & drawers and En-suite toilet. 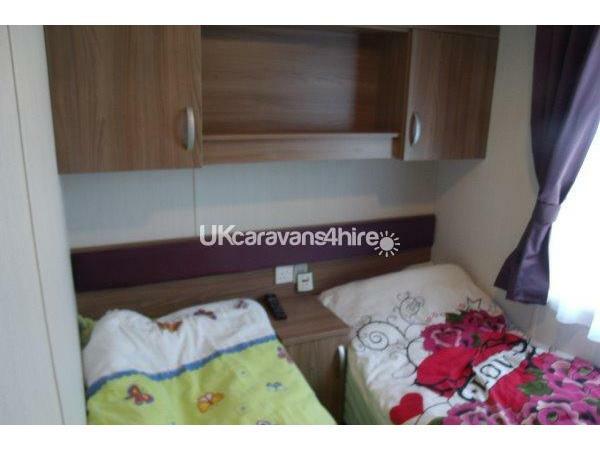 The other bedroom contain two single beds, overhead storage, wardrobe, bedside cupboard and shelving. The bathroom has a spacious shower cubicle with glass door and a thermostatic shower. It also has plenty of storage. 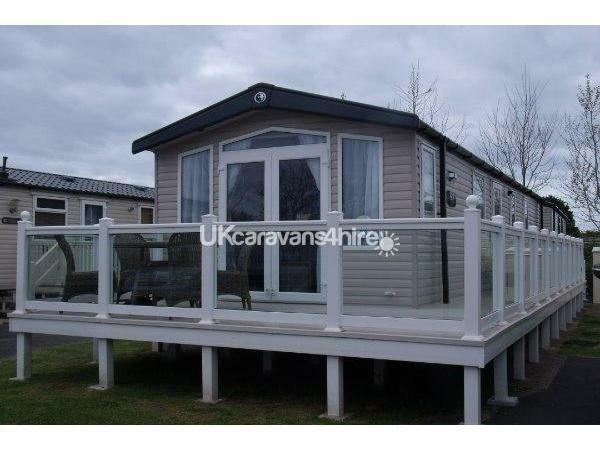 The exterior of the caravan has large decking area around the caravan which is enclosed and secure for young children to run around. 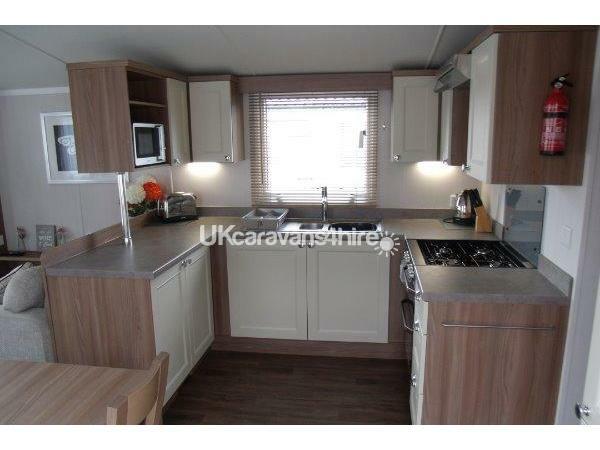 There is a parking bay for a vehicle next to the a caravan and space a short distance away should you have further vehicles. Duvets and pillows are provided but you will need to bring your own linen including your own towels, tea towels etc. Gas and electricity are included in the price. 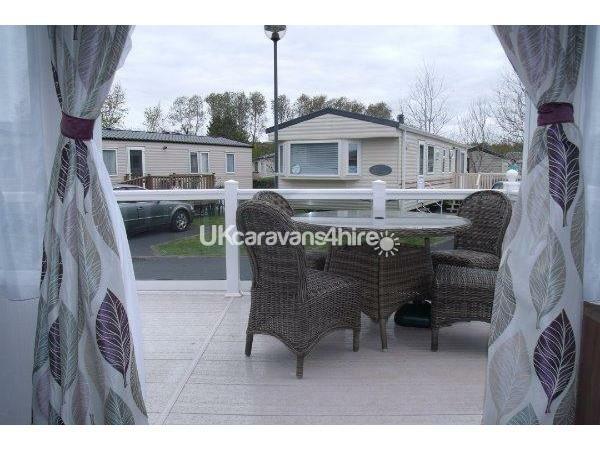 The caravan is available for a mid week break (Monday to Friday) or a week break (Friday to Friday). There are no weekend breaks available. 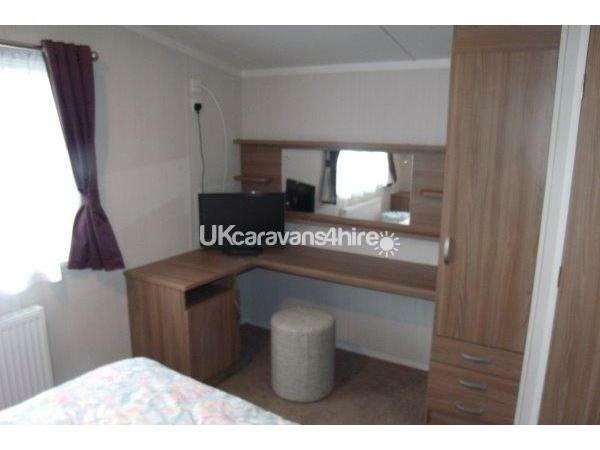 You can occupy the caravan any time after 2.00 pm on the day of arrival and must vacate the caravan by 10.00 am on the day of departure. This will enable us to allow the cleaners in before the next guests arrive. Please note that Kiln Park rules state that we are only to hire our caravan to families and mature couples, (NO GROUPS). Sorry no smoking or pets allowed.